Mobile commerce was once a minor part of the entire eCommerce industry, but the sudden surge of mobile devices has allowed it to grow bigger. Today, the online stores are not only flooded with the users from desktop computers, because smart phones and mobile devices have facilitated users to keep on browsing stores on their hand held gadgets. They can log on to different eCommerce websites without leaving a comfortable couch and turning on the personal computer for it. The major eCommerce websites are experiencing a higher percentage of users visiting through smart phones. The statistics show 55% of the eCommerce traffic through smart phones and 45% from the rest of the devices. The increasing number of smartphone manufacturing companies has made it affordable for everyone to own a handset and instantly access the internet through data or Wi-Fi connectivity. Due to this fact, more than 1.2 billion people like to access the internet daily on their mobiles. Among the online shoppers, 60% prefer to use smartphones to search for a product or service. This has further paved the way to success for the mobile commerce. The eCommerce industry is rooted deep in the lives of Americans that they often place online orders for the grocery and garments. But, the use of mobile for digital shopping is a recent phenomenon. Today, one-third of the online sales are done through devices that clearly shows that mobile commerce has secured a significant part in the overall eCommerce industry. And, this is evident by the fact that mobile commerce sales amount to around $100 billion in the USA. The urge to buy a smartphone is not limited to the USA and Europe, but the Asian countries as well. Asia, which was not so active on the internet, has also gained an increase of 250% in mobile shopping in the last 2 years. It may also because of the enchanting popularity of social media, and increasing promotional activities of online stores. The mobile commerce is considered to grow in the coming years due to the rise in mobile devices, easy internet access, consumer awareness, and promotional campaigns. 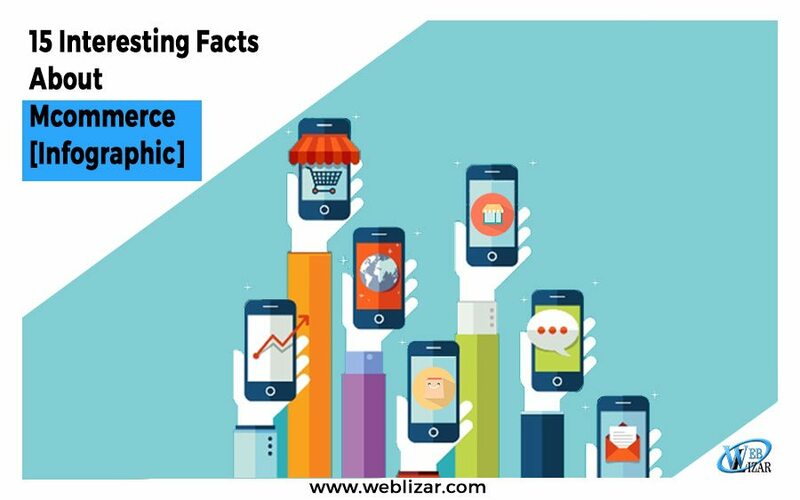 For further trends and statistics about m-commerce, please refer to the infographic below that is compiled by FME Addons – A reliable web design and development company specialized in optimizing eCommerce websites for better mobile visibility. Concluding this blog post, mobile commerce has spread everywhere and now holds more market than ecommerce since everybody wants the simplicity of purchasing products at their fingertips and even returning them back to the seller in case they don’t like it. You are not bound to use the platform while only you are in front of your PC or laptop but you can be anywhere around the globe and can purchase anytime. That’s the beauty of mcommerce which is making it more accessible and popular among the people.